“Eat this, not that!” tested and ranked 12 protein bars based on Nutrition, Clean Ingredients, Appearance & Texture, and Taste and our No Cow bar blew them all out of the water to claim the #1 spot. We Tested 12 Protein Bars, And This Is The Best! We could not be more excited to have recently partnered with D to further accelerate growth of the innovative D’s Naturals products. The first step here was helping D to begin to build out the team with A+ talent like Chris Hickey. We are thrilled to welcome Chris to the No Cow revolution. I’m excited to share that Chris Hickey has joined me as the CEO of D’s Naturals. As many of you know, I recently took in an investment from 2x Consumer Products Growth Partners and the 301 INC team at General Mills. A big part of that was to help with the things I couldn’t do entirely on my own, as I was practically operating as a one-man army. Bringing on someone as talented as Chris is just the first of many accomplishments we’ll have together, and allows me to finally focus on transitioning the company from a product to a platform. I’m pumped to be working alongside Chris, as we create a No Cow revolution! Most recently, Chris was the CEO of The Isopure Company which he grew from $50MM to $100MM in 3 years and led a successful exit to Glanbia plc. Previous to that, Chris spent the last 12 years in the health and wellness space, having started his Marketing and General Management career at General Mills working on brands like Total cereal and Fiber One. Outside of his extremely successful track record, Chris brings along his electrifying passion and extreme grit, which are just a couple of the rare yet essential traits he possesses. Created by Daniel Katz at only 18-years old, D’s Naturals was founded on a mission to redefine natural nutrition with its line of plant-based foods designed to fuel an active lifestyle. Made with simple ingredients like brown rice and pea protein, No Cow protein bars and Fluffbutter protein-infused nut butters are vegan, non-GMO, and free of gluten, dairy, lactose and soy. Products are available nationally at Vitamin Shoppe, GNC, CVS, local fitness centers serviced by Europa Sports as well as on Amazon and the company website. To learn more please visit www.myNoCow.com. Beanitos: The easiest, tastiest, gluten-free Big Game bites. Examiner.com (20,460,428 visitors per month)— Beanitos is included in a story titled “The easiest, tastiest, gluten-free Big Game bites.” Beanitos’ Original Black Bean and Restaurant Style are included as perfect pairings in a Queso recipe! The story was also included on the editor’s personal blog, CheapEasyGlutenFree.com (obtaining visitors per month). Blue Dog Bakery Group, Inc. (“Blue Dog Bakery”) has received a substantial investment from 2x Consumer Products Growth Partners (“2x Partners”). Andrew Whitman, Managing Partner at 2x Partners, has joined the company’s board and will work closely with CEO Kyle Polanski and the management team to continue to build upon the success of the business. Eric Haddenhorst co-led the effort with Whitman and will be a Board Observer. Based in Seattle, WA, Blue Dog Bakery is a leading producer of premium, all-natural pet treats sold primarily in the conventional grocery and mass merchandiser channels. The Company has experienced rapid growth since it was founded in 1998, and Blue Dog Bakery has become one of the largest and fastest growing brands in the pet treat category within its core channels. For more information, please visit www.bluedogbakery.com. MarthaStewart.com (11,002,040 visitors per month). The article titled “Healthy Tailgating Ideas Your Crowd Will Be Pumped For” shares healthier store bought tailgating food options that can be embellished at home. The Beanitos Simply Pinto Bean is highlighted as a healthy way to serve bruschetta. Chicago, IL and Pasadena, CA – 2x Consumer Products Growth Partners (“2x Partners”) and Rustic Canyon/Fontis Partners (“RC/Fontis”) are set to exit their investments in Preferred Brands International, Inc. An announcement was made simultaneously to the Nikkei and Bombay stock exchanges that Kagome Co., Ltd. (TYO: 2811), a large Japanese food and beverage company, will acquire majority interest in Preferred Brands. Management will continue to own a significant minority interest following the transaction, which is subject to customary regulatory approvals and is expected to close in May, 2015. Based in Stamford, CT, with manufacturing in Pune, India, Preferred Brands is a leading manufacturer and marketer of Indian entrées, Asian noodles and ethnic inspired organic rice products under the TASTY BITE brand. During the term of the investments from 2x Partners (invested in 2010) and RC/Fontis (initially invested in 2008 as the first institutional money into the Company), the Company’s revenue approximately doubled and tripled respectively while profitability growth exceeded revenue growth in all cases. LaBran and Managing Partner Gabrielle Greene-Sulzberger led the investment from RCF and were supported by their partner Danny Villanueva. The 2x Partners team included Whitman and Vice President Kim Anne Starke and were supported by Managing Partner Sharon Kieffer, Vice President Mike Apostal and several of the firm’s Industry Venture Partners. Barclays acted as exclusive financial advisor to Preferred Brands. The Giannuzzi Group, LLP and Horwood Marcus & Berk Chartered provided legal counsel to the Company and the investors respectively. Today is an exciting day in the history of Orabrush as 2x Consumer Products Growth Partners (“2x Partners”) and the Company formally announce the launch of Molio: the separate company formed recently to take the Orabrush “Reverse Marketing Model” to the next level. “As the first institutional investor in Orabrush, we saw a highly differentiated product and a very different go-to-market model,” says Andrew Whitman – Managing Partner with 2x Partners. “With high demand for the online marketing technologies and YouTube video capabilities that powered Orabrush, spinning off Molio was a logical and exciting next step.” Molio’s proven ad technology model has built two multi-million dollar online brands and launches with ten brand partners. Looking back, the 2x Partners team met with the founders of Orabrush on a crisp early winter day in 2009. It was the beginning of an exciting year … learning about the fantastic business, introducing the founders to two Angel investors and Jeff Davis, an industry executive from P&G who subsequently joined the Company as CEO. A year later 2x Partners invested in Orabrush. With outside technology investors led by Greycroft Partners, Molio is well staged for the future. 2x Partners continues to be a strong supporter and shareholder in Molio. Please visit www.Molio.com to learn more. 2x Consumer Products Growth Partners joins with founders and management in emerging consumer products businesses capable of growing exponentially via an infusion of capital and management expertise. Focus areas include food, beverage, personal care, home care and pet care – particularly in the organic/natural, specialty/gourmet and ethnic sectors. Businesses are primarily within the $2-25 million revenue range. Visit www.2xPartners.com to learn more about 2x Partners and the partner companies including Beanitos bean-based snacks, gDiapers eco-friendly diapers, MegaFood/INNATE RESPONSE whole food supplements, Orabrush bad breath eliminators and Tasty Bite Indian- and pan-Asian foods. Molio (www.Molio.com) is a video marketing ad technology and branding company. Molio reaches audiences in a unique way, resulting in brands having more exposure and industry-leading results. Using an integrated approach that blends content creation, video optimization and media placement on YouTube with proprietary advertising software, Molio creates hyper-targeted campaigns that yield high levels of awareness, engagement and conversion to build brands online. Chicago, IL – 2x Consumer Products Growth Partners (“2x Partners”) has sold its investment in FoodState, Inc. to Pharmavite, LLC, one of the largest U.S. manufacturers of high-quality vitamins, minerals and dietary supplements under the Nature Made® brand. Terms of the sale were not disclosed. Based in Derry, NH, FoodState is a leading manufacturer and marketer of whole food nutritional supplements under the MegaFood® and INNATE RESPONSE™ brands sold in the natural grocery and practitioner channels, respectively. During the 3+ years 2x Partners was invested in FoodState (in partnership with co-investor The Riverside Company), “we helped recruit significant senior management talent largely from our network and partnered actively with the team,” said Andrew Whitman, Managing Partner at 2x Partners. By investing heavily in marketing, sales and manufacturing infrastructure, the Company nearly doubled in size while maintaining very attractive profit margins. Managing Partner Sharon Kieffer, Industry Venture Partner Bob Burke (FoodState board member) and Vice Presidents Michael Apostal and Kim Anne Starke rounded out the FoodState-related investment & operating team from 2x Partners. Jones Day (legal) and Imperial Capital (investment bankers) represented Riverside and 2x Partners. 2x Consumer Products Growth Partners joins with founders and management in emerging consumer products businesses capable of growing exponentially via an infusion of capital and management expertise. Focus areas include food, beverage, personal care, home care and pet care – particularly in the organic/natural, specialty/gourmet and ethnic sectors. Businesses are primarily within the $2-25 million revenue range. Visit www.2xpartners.com to learn more about 2x Partners and the partner companies including Beanitos bean-based snacks, gDiapers eco-friendly diapers, Orabrush bad breath eliminators and Tasty Bite Indian- and pan-Asian foods. The Seaweed Bath Co. has received a substantial growth capital investment led by 2x Consumer Products Growth Partners (“2x Partners”). Sharon Kieffer, Managing Partner at 2x Partners, has joined the company’s board and will work closely with Founder/CEO Adam Grossman to continue to grow The Seaweed Bath Co. Joining the efforts are two Industry Venture Partners at 2x Partners: Shekhar Mitra (former SVP, Global Corporate Research & Development for Procter & Gamble’s beauty and personal care businesses) and Gil Pritchard (3-time natural products industry CEO with substantial exits including Avalon Natural Products). Located in Austin, TX, The Seaweed Bath Co. is a rapidly growing innovator in the natural personal care sector. The Company was founded as a result of Adam’s personal journey to find a natural skin solution to his extreme psoriasis. He discovered the detoxifying powers of seaweed to nourish and soothe sensitive and irritated skin. The Seaweed Bath Co. brings these efficacious benefits which seaweed provides to natural hair, skin and bath categories. For more information, please visit www.seaweedbathco.com. 2x Consumer Products Growth Partners (“2x Partners”) has made a substantial minority investment in Good Karma Foods, Inc. Sharon Kieffer and Kim Anne Starke, Managing Partner and Vice President respectively, led the efforts for 2x Partners. They will partner with Dan LaValley (retiring CEO) and Doug Radi (new CEO) to continue the growth of Good Karma. Now based in Boulder, CO, Good Karma is among the fastest growing businesses in the non-dairy beverage space. The company’s flagship Good Karma flaxmilk is a highly differentiated non-dairy beverage with a unique nutritional profile and great taste that is closer to dairy cow’s milk than many other options. Good Karma is broadly available in the natural channel and rapidly expanding its distribution into conventional grocery stores. For more information, please visit www.goodkarmafoods.com. Fund II will follow the same investment strategy as the firm’s first fund by partnering with rapidly growing consumer brands in the food, beverage, pet care, personal care and home care categories. Businesses are primarily within the $2-25 million revenue range. 2x Partners delivers superior returns by leveraging the firm’s unique operational expertise, which includes more than 400 years of cross-functional operating experience with industry leading consumer firms such as Kraft, Pepsi, Proctor & Gamble and Clorox, as well as with more than 100 emerging consumer brands. 2x Partners’ investment strategy has proven successful with 5 of its last 6 exits to strategic acquirers. Notable realized investments include MegaFood whole food supplements (acquired by Pharmavite), Orabrush innovative tongue cleaners (acquired by DenTek), Tasty Bite all-natural Indian and Pan-Asian foods (acquired by Kagome) and Wellness all-natural pet food (acquired by Berwind; pre-Fund I). The 2x Partners team, led by Managing Partners Sharon Kieffer and Andy Whitman, is actively seeking new opportunities to partner with emerging CPG brands of the future. Visit www.2xpartners.com to learn more about 2x Partners and the firm’s partner companies. Pet strollers, treadmills for dogs: A visit to the world’s largest pet trade show. Americans spent a record $56 billion on their pets in 2013, and the largest pet trade show on the planet offered quite the punch when it came to new products for the furry members of the family. TODAY’s Jill Rappaport reports. 10.29.2013: Earlier this year, we put together a list of the 25 most innovative consumer and retail companies —the CircleUp 25. Today we are releasing the CircleUp Kingmakers – 25 of the most influential “kingmakers” in consumer and retail. They are men and women whose names repeatedly arise in conversations with industry experts and consumer companies large and small. In researching this article, I talked with consumer and retail entrepreneurs, public consumer and retail companies, private equity firms, angel investors, and service providers including distributors, marketing firms and consumer focused consulting firms. And they are those men and women who in our opinion at CircleUp deserve to be included among the inaugural CircleUp Kingmakers. 2x Consumer Product Growth Partners helps emerging, branded consumer product companies achieve their potential by bringing deep industry expertise and a capital infusion. Andy and team focus on food, beverage, personal care, home care and pet care companies generally with $2-25 million in revenue in the organic/natural, specialty/gourmet and ethnic sectors. 2x Partners has played a critical role in developing companies like Beanitos healthy chips, MegaFood whole food supplements, Orabrush tongue cleaners, Tasty Bite Indian foods and gDiapers eco-friendly diapers. 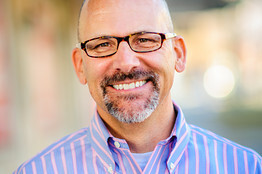 Andy founded 2x Partners following his career with General Foods and Kraft Foods. At Kraft, he demonstrated his talent for growing the smaller brands that had not grown or been run profitably previously. Before raising the 2x Partners growth capital fund, he co-invested with Catterton Partners and helped grow Wellness pet food and Old Mother Hubbard pet treats into one of the largest CPG exits in the last decade. Orabrush CEO Jeff Davis featured in a live interview on Bloomberg TV. Special limited edition gPants seen below gets rave review from UK’s Daily Mail. Prince Charles has long been an outspoken campaigner on environmental issues, and has discussed the responsibility he feels at the prospect of becoming a grandfather and handing ‘an increasingly dysfunctional world’ on to his grandchildren. So he’ll be thrilled to hear that gNappies, the ‘eco-dorable’ brand of planet-hugging baby nappy, has created a limited edition regal variety. Perfect for tiny royal bottoms. And just in time for the impending birth of HRH The Baby of Cambridge. And Kate and William’s baby would certainly look the part in gNappies’ gRegal gPants, made from plush purple velour and decorated with the company’s small embroidered ‘g’. Read the rest at: http://www.dailymail.co.uk/femail/article-2350784/Eco-friendly-gNappies-given-regal-makeover-time-Duchess-Cambridges-Royal-baby.html. MegaFood Blood Builder, Wild Blueberry, Magnesium, Calcium, and Calcium Magnesium and Potassium whole food supplement products have received the Non-GMO Project VERIFIED seal from the Non-GMO Project, which is a third party certification program that assures a product has been produced according to consensus-based best practices for GMO (genetically modified organism) avoidance. Additionally, the Non-GMO Project has recognized the FoodState manufacturing facility, where the MegaFood products are made, as a certified handler of non-GMO materials and products. Beanitos: Supermarket Guru Phil Lempert New White Bean chips a hit! Supermarket Guru Phil Lempert says Beanitos new Restaurant Style (white bean) chips a hit! Examiner.com, a top 100 website with 37 million unique visitors a month, gave Orapup five stars. Is Orabrush a small-town company that makes tongue scrapers, or a digital marketing guru that has blazed new trails in e-commerce brand-building? The company says it is both, and this week will extend its strange business model even further with the launch of a new product–and accompanying YouTube channel–aimed at ameliorating dogs’ stinky breath. Orabrush’s new Orapup tongue scraper for dogs. If the new channel, Orapup, performs like the company’s first YouTube endeavor, it will prove that big budgets and high-production values are sometimes no match for a few creative people sitting around together in a room–even if that room is in Provo, Utah, a town known less for tinseltown glamor than for Brigham Young University and a Mormon missionary-training center. That channel, used to promote the company’s tongue scrapers for human, easily brushed past sponsored channels created by Apple, Walt Disney and other household names, and now boasts some 53 million views. A couple of years later, the Orabrush channel–with its dozens of skits and short, serialized programs–is still out in front of the likes of Sony and Pixar, Chief Executive Jeff Davis said. The efforts of the small company’s marketing department–later augmented by reams of user-submitted videos–pushed sales of the tongue scraper for humans through the roof, he added. Now Orabrush has developed a tongue scraper for dogs, and has asked its marketing department–12 or so people who are 30 and under–to once again work that magic. The dog-related tongue-scraping channel has been up for a few months, and the early signs are encouraging, the CEO said. Jeff Davis, chief executive of Orabrush. The Orapup tongue scraper is designed in such a way that the pet owner merely holds it out, and the dog cleans its own tongue by thoroughly licking the gadget. The set-up has opened the gate to a practically unlimited number of cute videos that can be uploaded by the company or the users. “We use a reverse-marketing model. We create awareness online, then think about distribution second,” Davis said, adding that this week the company will begin distributing. The company has raised about $2 million from True Ventures and 2X Products Consumer Growth Partners, the CEO said, and has banked an additional $750,000 from other sources, including crowdfunding. At the company–which is one part tongue-scraper design company, one part indie film studio–optimism about the new venture is running high. “Pet owners are awesome,” the CEO said. Coming out of the Academy of Nutrition and Dietetics Food and Nutrition Conference and Expo (FNCE), the world’s largest annual meeting of food and nutrition professionals, Huffington Post identified the top five food trends spotted at FNCE 2012. Over 8,000 registered dietitians, nutrition researchers, policymakers, health-care providers and industry leaders attend this four-day event. Each day is packed with research, educational presentations, lectures, debates, panel discussions and culinary demonstrations. The expo portion of the event draws more than 350 food- and nutrition-related exhibitors. It’s here that new products and innovations are launched and food trends come to life. I wish I knew about Tasty Bite in college. A microwavable, totally vegetarian, and actually tasty convenience food that doesn’t even require a fridge? Yes, this would have made those long work nights far more pleasant. And with takes on Indian classics like dal and vegetable curries that don’t shy away from genuine spicing, they’re among the tastier pouched convenience foods out there. At about $3.29 each, a single-serving Tasty Bite pouch is pricier than packaged ramen. But it’s even easier to prepare, and tastes nourishing, not just like a cocktail of salt, flavor chemicals, and preservatives. Tasty Bite ingredient lists are easy to read—for the most part they’re just vegetables, legumes, spices, and the occasional dose of dairy. The Connecticut-based company currently offers about 30 pouched products, mostly heat-and-eat “entrées,” but also microwavable grain dishes and “meal inspirations,” mildly seasoned ingredients like chickpeas that are fully cooked and ready to add to a larger meal. So which ones are the best? We found out the only way we could—by trying them all. Good grains: There are more cost-effective ways to buy grains like rice and millet in bulk, but we were impressed by the texture and earthy flavor of the grain-based pouches. Lentils, chickpeas, and peas win: Score one for legumes—all three are generally well flavored with creamy textures. We didn’t love every pouch based on these ingredients (there are many), but it’s a decent indicator of success. Paneer and spinach, less so: We’re big paneer fans, and were saddened by the mostly bland and/or rubbery iterations we encountered here. The spinach dishes, for the most part, are overwhelmed by the vegetable’s mineral flavor. Thick sauces are preferable to thin: Thin curries have their places, but not with Tasty Bite. Thicker sauces were more flavorful, and had a more pleasing texture than the thinner ones. Tastiness has no correlation to calories: Tasty Bites range from 200 to 500 calories per pouch. * I was half-expecting our favorite pouches to align with the fattiest of the lot: the ones with doses of oil, nut pastes, or cream. But that just wasn’t so. Generous spicing and clean-tasting grains won us over more than anything else. * The nutritional information lists a serving as half a pouch, but let’s be real: a single pouch is a single serving. Our favorites of the bunch? A gentle but assertively spiced Chana Masala, creamy Punjab Eggplant that balances its slow-burn heat with onion sweetness, mild and sweet Vegetable Korma, and nutty Jaipur Vegetables. Pair any of them with Ginger Lentil Rice, Barley Medley, or Zany Multigrain (we know) and you have what we’re happy to call dinner. Business Journal contributor Brad Scheller recently sat down for a conversation with Ashok Vasudevan, CEO and founder of Tasty Bite (Preferred Brands International L.L.C. ), about leading and growing an international food company. The company, which is based in Stamford and does business as Tasty Bite Preferred Brands International, markets 39 entrees, sauces, rice varieties and meal inspirations — all of which are sold in major grocery chains across the U.S. and worldwide. The following are excerpts of their conversation. Scheller: How did your company get its start? Talk about the challenges of running a global company. What are the most important leadership lessons you’ve learned over the years? How do you think about failure in your organization? Let’s talk about hiring. How do you do it? “We think of it as a triangle — education, experience and expertise. We have a job description for every job. The major aspects of the job, the objectives for each job and the tasks required for each job. Whether we brief a recruiter or internally, it is very clear what criteria we are looking for. Orabrush Inc. is launching another product — a tongue cleaner for dogs. The Provo-based company caused an online sensation a couple of years ago when it dressed up a scruffy-looking guy as a giant tongue to promote what was then its only product — a brush that could be used to clean the bacteria off a person’s tongue to prevent bad breath. It’s new product, dubbed Orapup, follows along the same line. The new product, according to the company, combines soft pointed bristles with four in-line scrapers, which collect and remove bacteria from a dog’s tongue. A formula to help prevent gum disease and reduce tartar is applied to the surface of the Orapup to entice dogs to lick the brush, allowing them to clean their own tongues. Orabrush said its new product, which will retail for around $15, is scheduled to hit store shelves early next year. MegaFood (Derry, NH) and Dr. Andrew Weil have entered into a partnership to bring science-based educational programs and products to natural products retailers and their customers. Some of the projects currently in the works include the development of new supplements for men, women and children.Weil and Dr. Tieraona Low Dog, chief medical officer for Weil Lifestyle (Phoenix, AZ), are working as direct advisors to MegaFood’s supplement formulations.An educational program for retailers based on Weil’s latest book, Spontaneous Happiness, is also in the queue to be launched at Expo West 2013. MegaFood will not be launching any products carrying Weil’s name or image. Craven said it is a mutual goal of MegaFood and Weil Lifestyle to maintain individual brand credibility while working together with a shared vision for an integrative approach to health. Australian-born and the co-founder and CEO of gDiapers, Jason Graham-Nye, has turned his commitment to making the planet greener and healthier into an environmentally friendly hybrid diaper company. One diaper, two options: reusable cloth and a biodegradable disposable. Graham-Nye launched gDiapers with his wife Kim in 2005, and has been nurturing the company into a growing success every year since. Sharon Kieffer – Managing Partner, 2x Consumer Products Growth Partners – today was named among the Top Women in Grocery by Progressive Grocer. Leveraging a 20+ year career as a successful innovator and business builder in consumer packaged goods, she was recognized for her work in building the brands of the future through an combination of industry expertise and capital infusion. Prior to joining 2x Partners, Sharon was an executive at PepsiCo and Kraft Foods where she leveraged her strong consumer and business insights to create and build over $2 billion of new CPG businesses around the globe. Most notably she worked to launch Aquafina and Starbucks ready to drink beverages in the US and expand the Philadelphia and Kraft cheese brands into new categories internationally. Today, she is focused on working alongside entrepreneurs to help create the next generation of differentiated and high growth CPG businesses. Sharon began her marketing career in advertising at Leo Burnett, working on personal care and paper businesses. She spent the next 18+ years rising through the ranks in Marketing and Innovation at Kraft Foods, Fort James and PepsiCo. Most recently, Sharon was the VP of Global Innovation at PepsiCo where she led disruptive innovation efforts for the Quaker brand and Global Nutrition Group around the world. Sharon received both a B.B.A. and an M.B.A from the University of Wisconsin. She enjoys spending time with her husband and twin boys and pursuing her passions of athletics, the outdoors and health and wellness. She is an avid Badger and Packer fan, has completed two marathons, biked through Italy and enjoys hiking whenever possible. (2) Short powerpoint that “tells the story” … Guy Kawasaki does a great job talking to his 10/20/30 rule: ten slides, last no more than twenty minutes and contain no font smaller than thirty points. See http://blog.guykawasaki.com/2005/12/the_102030_rule.html for more details. Well said Guy! (3) Detailed bottoms-up (vs. “there’s a billion people in the addressable market and we can get 0.5%, so ….) financial model in excel. (4) OPTIONAL – and more for your use than investors in our opinion – a detailed biz plan in word format. Keep it <30 pages including summary of the financials etc. But it’s place to play out all your details and assumptions. Often, it’s a way a founder can see the gaps in their own plan that might not be obvious in a shorter PPT. And, if you’re interested in a deep dive, there’s a great workshop coming up. There’s nothing in it for us … but we know what great reviews these workshops get. And, first time they’re being done in Chicago. Check out http://www.naturalconsulting.com/seminars/finance-seminar-networking-event. We’ve all spent a sleepless night channel surfing at 3a.m. Flicking around at that hour, you’re sure to come across an infomercial for a Revolutionary Floor Cleaner or an Abs-of-Steel Machine urging you to be one of the first 500 callers and get a free set of steak knives. Bolstered by breathless, off-their-meds hosts, these feature-length commercials are wildly profitable. (Americans bought more than $91 billion worth of products hawked on TV in 2011). Now Orabrush, a 20-person company based in Utah, is using that formula to become the QVC of YouTube. The Orabrush, as you might have guessed from the picture, is a tongue scraper. Invented by Dr. Bob Wagstaff, the product is essentially a modified toothbrush with a wider head. While it may be effective in scraping bacteria and other gunk off your tongue to cure bad breath, it’s not an easy sell. Dr. Wagstaff tried to hawk it for eight years, spent $40,000 on a slick TV infomercial, and sold about 100 units. Frustrated by his lack of traction, Wagstaff visited a class of MBA students to get new marketing ideas. One student, Jeffrey Harmon, argued that the Orabrush should be marketed on the web. Wagstaff disagreed, but still paid Harmon $500 to produce a video to test his hypothesis. Over a hundred YouTube videos later, Harmon heads up the marketing team that has helped Orabrush sell 2.1 million units and land national retail distribution at Walmart. This tiny company with a single wince-inducing product has more online viewers than P&G, Crest and every other product in the oral care category, combined. With crowdfunding and access to production services, it has never been easier to bring a product to market. But that ease also creates noise and competition. As Dr. Wagstaff’s experience proves, many inventors fail to consider marketing until it’s too late. Only one in a 1,000 videos go viral, Harmon says. Inventors should make videos that tell compelling stories about their product and experiment with different approaches until sales improve. Orabrush tested video formats that included technical demonstrations and other, more surreal fare. One series was a soap opera starring Morgan “The Foul-Mouthed Tongue” who was constantly alienating potential love interests with his surly attitude and horrible halitosis. This cheeky, low-budget series starring a guy in a foam rubber suit generated 300 percent more views than all of the high-budget commercials on the supposedly youth-focused, YouTube friendly Mountain Dew channel. Don’t underestimate the optimization process. Orabrush videos look casual, but take days to write and shoot, and often require months of refinements, edits and testing before they go live. This high barrier to entry gives creatives a huge advantage. It’s relatively easy for entrepreneurs to experiment with pay-per-click or banner ads, but making a video requires specialized skills. Forget the focus group. Use your video channel to find out what customers think. Hundreds of Orabrush users have posted testimonials on YouTube that provide the team with constant feedback and video footage of their product in use. This wealth of customer data has led to a number of product improvements. For example, the bristle pad was originally white, because Dr. Wagstaff thought dental tools should look sterile, but that made it hard to see the gunk — the holy grail of obsessive oral hygiene. In response, Harmon introduced vibrantly colored bristles. The gunk now took center stage, making the product seem more effective. YouTube is the new cable. Top stars on YouTube get more views on each of their uploads than Jay Leno or Conan O’Brien get on TV. According to Harmon, a respectable cable TV channel has approximately 400,000 viewers who watch regularly. Orabrush gets 185,000 — for a tongue scraper. Beanitos: Recommended by Doctor Oz in high profile segment! In his first year as CEO, Robert Craven is bringing new energy to MegaFood—and riding a wave of growing consumer demand for supplements that act more like food. What are the biggest challenges in the category? gDiapers: Part of Gwyneth Paltrow’s 7 essential baby products! In the past few months we’ve received lots of reader requests for a goop issue on pregnancy, and so we got to work on the subject. Below are all my essentials plus our most recent sources of inspiration for everything from wearable maternity clothing to putting together a nursery. gDiapers: A ridiculously cute eco-friendly diaper system. Choose one or two outer layer diapers that you can use over and over again and then replace the inner layer with biodegradable refills or washable cloth inserts (both viable eco options). The diapers come in lots of great colors and patterns. gDiapers: Featured on Today Show. 2x Partners Shares NY Times: Crowdsource your next angel raise? Check out George Deeb’s RED ROCKET BLOG overall and especially his TEN LESSONS post from this time year ago. Worth noting (or revisiting if you’ve seen it. # 1: Drivers of Success for Startups. Do I have a Good Business Idea? http://redrocketvc.blogspot.com/2011_02_01_archive.html. # 2: Building the Right Team for Your Start-Up. http://redrocketvc.blogspot.com/2011/03/lesson-2-building-right-team-for-your.html. # 3: The Importance of Timing and Luck for Your Startup. http://redrocketvc.blogspot.com/2011/03/lesson-3-importance-of-timing-and-luck.html. # 4: How to Raise Capital for Your Startup. http://redrocketvc.blogspot.com/2011/03/lesson-4-how-to-raise-capital-for-your.html. # 5: Finding Angel Investors for Your Startup. http://redrocketvc.blogspot.com/2011/03/lesson-5-finding-angel-investors-for.html. # 6: Structuring Strategic Partnerships for Your Startup. http://redrocketvc.blogspot.com/2011/03/lesson-6-structuring-strategic.html. # 7: Key Components for Writing a Business Plan. http://redrocketvc.blogspot.com/2011/03/lesson-7-key-components-for-writing.html. # 8: Startups Require Flexibility to Optimize Business Model. http://redrocketvc.blogspot.com/2011/03/lesson-8-startups-require-flexibility.html. # 9: Spreading Equity to Key Employees and Partners. http://redrocketvc.blogspot.com/2011/03/lesson-9-spreading-equity-to-key.html. #10: How Best to Approach VC’s or Angel Investors. http://redrocketvc.blogspot.com/2011_03_01_archive.html. MegaFood was named one of the 5 brands to watch in 2012 by New Hope. Naturally, supplement manufacturers don’t want to be left out of the action, so more and more are launching products derived from whole food ingredients that are as far away from synthetic nutrients as organic fruit is from Froot Loops. This trend taps into the back-to-basics mentality we are seeing emerge in the world of health and wellness. You want real nutrition? Eat real food—and, if you need to, reinforce what you do eat with naturally derived, food-based supplements. MegaFood is a leader in the whole food supplement space and well positioned to benefit from growing consumer interest in whole food nutrition. The brand, which is owned by BioSan Laboratories and recently received a cash infusion from 2x Consumer Products Growth Partners, is making particularly strong headway in the children’s supplement category with its Kid’s One Daily. The product is a whole food vitamin and mineral tablet that breaks away from the trend of loading children’s supplements with sugar. Thanks to Monsanto and the pharmaceutical giants, a division is forming in the market between science-based approaches to nutrition in the form of bioengineered supplements and the purer, more natural approaches found in organic, whole and raw foods. In addition, consumer fears of engineered food villains such as GMOs and synthetic additives have started to push people away from the supplement world and more toward food. Orabrush was named one of 10 new products to watch for in 2012 by USA Today. Gosh, I’m smart. That’s how the big consumer-packaged-goods players — from Procter & Gamble to Kraft to Kimberly-Clark — want you to feel about yourself for buying the new household products that they’ll be rolling out in 2012. Some will try to make you feel smart for saving money. Some, for saving time. And some for being a tad ahead of the cultural curve. New products are the life blood of brands — making them even more crucial in a topsy-turvy economy. The goal in 2012 isn’t just to get you to buy the new product, but also to nudge you to very publicly gloat on Facebook, Twitter or YouTube about how savvy you were to make the purchase. Not only is it free advertising, it’s the most effective kind. It’s where we increasingly go to find out about new products. The number of folks who turned to social media as a source to learn about new products more than doubled over just the past year — from 24% in 2010 to 49% in 2011, reports a new study by Sentient Decision Science for Schneider Public Relations. But the great race to catch the public’s fancy with a new food, drink or gadget will almost certainly have fewer entries next year. U.S. product introductions will likely shrink in 2012, projects Mintel, the research giant. They shrank in 2011, too, to about 37,600 vs. roughly 41,000 in 2010, Mintel reports. In some cases, consumers will even be willing to spend more to get less. “But there must be a benefit that outweighs the ‘less-ness’ of the product,” says Lynn Dornblaser, new products guru at Mintel. One thing’s for sure in 2012: Whatever you’re selling had better do what it claims to do. Or it’ll take social media heat. The key trend-within-the-trend of 2012’s new products is this simple consumer demand of new product makers: Prove it. So says Dornblaser. “Companies must be crystal clear with consumers on everything,” she says. At the same time, many products will continue to shrink. Companies can charge less for stripped-down products made with less material. “Less is less,” says Tom Vierhile, innovation insights editor at Datamonitor, the research specialist. #10: Weird hygiene. We have gotten used to wacky whitening strips and flavored fluoride rinses. But does the thought of brushing your tongue sound icky? A tiny brand called Orabrush last year rolled out via social media and caught fire, convincing millions to buy its $4.99 tongue-cleaning brush. Now, in 2012, it’s rolling out a companion Orabrush Tongue Foam that uses natural enzymes to rid the mouth of bacteria — and bad breath. January 5, 2012 (Austin, TX and Chicago, IL) — Today, Beanitos brand bean chips announced a substantial investment by 2x Consumer Products Growth Partners (“2x Partners”) and Managing Partners Sharon Kieffer and Andy Whitman joined the company’s board of directors. In addition, Sweet Leaf Tea founder and former CEO Clayton Christopher has invested in Beanitos, Inc. and joined the board. Together they will leverage their expertise and work closely with Beanitos CEO Doug Foreman and the management team to build the business. Beanitos is a leader in the better-for-you snack category. According to SPINS, the leading provider of natural product industry data, Beanitos is the #1 growth brand in sales dollars and product volume in the corn chips, tortilla chips and all other snacks categories. Foreman says, “Beanitos launched in 2010 and our sales are already surpassing our original goals. Americans are looking to eat healthier and Beanitos is helping them do it.” Beanitos bean chips are made from whole pinto and black beans … and a 1.25 oz. bag packs a whopping 6 grams of protein and 6 grams of fiber. All four flavors — Black Bean, Pinto Bean & Flax, Chipotle BBQ and Cheddar Cheese Pinto Bean — are gluten-free, corn-free, low glycemic and non-GMO. Beanitos, Inc. produces and distributes Beanitos brand bean chips — great-tasting, natural and healthful snack chips. The company is dedicated to the research and development of delicious and innovative all-natural healthful food products centered on the powerfully nutritious yet humble legume. Beanitos is an Austin, Texas-based company, formed in 2009 by brothers Doug and Dave Foreman, who together have more than 60 years of food industry expertise, primarily focused on the better-for-you and natural snacks space. Learn more at www.Beanitos.com. 2x Consumer Products Growth Partners joins with founders and management in emerging branded consumer products businesses capable of growing exponentially via an infusion of capital and industry expertise. The firm’s principals and industry venture partners have 375 years of combined experience, contacts and connections. Focus areas include food, beverage, personal care, home care and pet care — particularly in the organic/natural, specialty/gourmet and ethnic sectors. The firm or its principals have invested in such companies as gDiapers eco-friendly diapers, Orabrush bad breath eliminator, Tasty Bite Indian foods, MegaFood & Innate Response nutritional supplements, Eagle snacks and Wellness & Old Mother Hubbard all-natural foods for pets. Additional information is available at www.2xPartners.com. December 12, 2011 (Derry, NH and Chicago, IL) – The MegaFood and Innate Response brands of whole food nutritional supplements (owned by BioSan Laboratories, Inc.) have received an investment from 2x Consumer Products Growth Partners (“2x Partners”). Andrew S. Whitman, Managing Partner at 2x Partners, has joined the company’s board and will work closely with CEO Robert U. Craven and the management team to help build the business. 2x Partners joins majority investor The Riverside Company, a global private equity firm, and longtime owner and former CEO Carl Jackson, who retired in May but continues to be an active advisor and member of the Board of Directors. Also joining the company’s Board is Bob Burke, the Founder and Principal at Natural Products Consulting Institute, and an Industry Venture Partner with 2x Partners. Burke is a sought-after advisor and consultant to high growth companies, leveraging his consulting experience since 1998 and, for the previous 11 years, leading sales and marketing at Stonyfield Farm to help it become the world’s leading organic yogurt company. Founded in 1973, BioSan Laboratories produces and distributes the premium supplement brands MegaFood and Innate Response for the retail and professional health industry respectively. The company purchases ingredients from a network of U.S. based Farm Fresh Partners, selling a wide variety of dietary supplements for various health needs. For more information, visit www.MegaFood.com or www.InnateResponse.com. 2x Consumer Products Growth Partners joins with founders and management in emerging branded consumer products businesses capable of growing exponentially via an infusion of capital and industry expertise. The firm’s principals and industry venture partners have 375 years of combined experience, contacts and connections. Focus areas include food, beverage, personal care, home care and pet care – particularly in the organic/natural, specialty/gourmet and ethnic sectors. The firm or its principals have invested in such companies as gDiapers eco-friendly diapers, Orabrush bad breath eliminator, Tasty Bite Indian foods, Eagle snacks and Wellness & Old Mother Hubbard all-natural foods for pets. Additional information is available at www.2xPartners.com. The Riverside Company is a global private equity firm focused on acquiring growing enterprises valued at up to $200 million (€200 million in Europe). The firm partners with strong management teams and enhances its investments through acquisitions and organic growth. Since its founding in 1988, Riverside has invested in more than 250 transactions with a total enterprise value of more than $5.8 billion/€4.7 billion. The firm’s portfolio in North America, Europe and the Asia-Pacific region includes more than 75 companies with roughly 13,000 employees. Riverside completes acquisitions smoothly thanks to $3.2 billion/€2.4 billion in assets under management, more than 200 professionals in 20 offices, and longstanding relationships with partner lenders. Additional information is available at www.RiversideCompany.com. Nothing like loading up at Costco. Go Anderson. See gDiapers featured in TEDx presentation starting at the 15:30 mark. No time to scour natural-food stores and supermarkets for the very best buys? No worries. This year, Vegetarian Times staffers spent many an afternoon sipping, slurping, and nibbling our way down the aisles, sampling foods and ingredients old and new. We then nominated 114 products and asked you, our readers, to choose your favorites. Boy, did you come through—with more than 170,000 votes cast at vegetariantimes.com. We heart the generous veggie-to-sauce ratio in this shelf-stable heat- and-eat superstar. Fortune’s editors have chosen gDiapers Co-Founder and President Kim Graham-Nye as one of the 2011 Fortune Most Powerful Women Entrepreneurs. Each year Fortune recognizes 10 female entrepreneurs who are extraordinary innovators, game-changers and groundbreakers whose startups generated $1 million to $25 million in annual revenue last year. Getting a packaged-goods brand into Walmart or other national distribution may never quite be the same, as demonstrated by how a bootstrap marketer of tongue cleaners worked its way onto Walmart’s shelves using social media. Orabrush, which for the first two years of its existence was a lot better at generating YouTube views and publicity than actual sales, has landed the biggest of national accounts — Walmart — thanks to its deft and low-cost use of social media. Specifically, the brand leveraged more than 39 million views of its funny YouTube videos and a $28 campaign of Facebook ads directed mainly at a Walmart buyer to land distribution in 3,500 Walmart stores this month. While the same exact tactics probably won’t work for another brand, the success of Orabrush is an indicator of how much social media can change the game in a seemingly staid industry dominated by giants, according to Andrew Whitman, managing partner of 2x Consumer Products Growth Partners, a Chicago-based private-equity firm that invests in startup packaged-goods companies, including Orabrush. “The game has totally changed,” he said, adding that low-cost social-media strategies “have leveled the playing field dramatically.” In the same way music acts now launch themselves without mediation by major record labels, he said startup packaged-goods brands can bypass the usual channels and overcome some — but not all — of the big marketing and distribution advantages of established behemoths. In the case of Orabrush, the brand won national distribution at Walmart with little conventional marketing or its executives ever meeting a buyer face to face. Founded in 2009 in Salt Lake City, Orabrush last year was contacted by a Walmart store manager in Utah who wanted to give the product a try in his store. Under a policy revived under Walmart U.S. CEO Bill Simon, the manager had the authority to do so. He in turn convinced about 20 others in Utah after a store tour to try Orabrush, which used the data from those sales to sway executives at Walmart headquarters. But it was still hard to get an audience with the buyer. So Orabrush Chief Marketing Officer Jeffrey Harmon earlier this year bought $28 worth of Facebook ads targeted at Walmart employees in Northwest Arkansas reading: “Walmart employees have bad breath. Walmart needs to carry Orabrush. It will sell better than anything in your store.” The Facebook campaign proved a lot more effective than $20,000 in print ads in retail trade magazines, which only generated calls from other trade magazine sales reps, Mr. Harmon said. Within 48 hours of launching the Facebook ad, Mr. Harmon got an email from the buyer, who said her VP also had seen it and believed it was being directed at Walmart employees nationwide. The buyer, after also seeing a DVD and sales kit on the Orabrush story, placed an order for 735,000 tongue cleaners shipped last month. A Walmart spokeswoman confirmed the distribution in 3,500 stores, but said she couldn’t immediately confirm details of the negotiations or how the deal came about. In part, the strategy harks to a bygone era in packaged-goods marketing — the 1950s — when marketers would force distribution by first turning on advertising and getting consumers to pressure retailers. Inquiries from consumers who saw the exploits of Orabrush’s “Morgan the Tongue” on YouTube, for example, led U.K. retailer Boots to place an order, Mr. Harmon said. National distribution with CVS begins next month, he said, and Orabrush already has distribution in the U.K., Japan and Canada, thanks largely to its YouTube following. Mr. Harmon acknowledged that the tongue-cleaner business has been small and mostly unsuccessful for retailers up to now, leading to some retailer skepticism. But he said YouTube has worked to get Orabrush distribution, and he’ll stick with it to move product off the shelf, too. All the YouTube (and other) advertising has been done in-house, mainly with student filmmakers from Mr. Harmon’s alma mater, Brigham Young University. Walmart’s local-vendor and “store of the community” policies, while not as wide-open as in the days of Sam Walton, still can be a powerful tool for a startup brand, said one sales rep familiar with the retailer. To the extent social media can inspire people to contact Walmart store managers or buyers to carry an item, it also can help build a case for distribution in a store or nationally. While in the past Walmart had printed forms customers could fill out requesting an item be carried, today emails directed to the retailer get routed to buyers. That can help influence decisions at the national level. But individual store managers can often be swayed to take on or bring back local items, he said, which in turn can lead to larger regional buys. Anand Rajaraman, senior VP global e-commerce for Walmart, said at the Advertising Age Digital West conference Sept. 20 that social media will be a key determinant of what local stores carry in the future. Walmart is clearly emphasizing product innovation, said another sales rep, but last year’s effort to reverse assortment cutbacks is largely finished in many areas, such as grocery. Any kind of grassroots effort to build social-media support for a new product, he said, will only work in categories where it isn’t already well stoked, which is hard. And marketers need to be prepared, like Orabrush, to produce large quantities quickly, he said, because the retailer is working with far less lead time than it once did. See full article at http://adage.com/article/digital/a-walmart-shelves-social-media/230126. Can a YouTube video bring in big business? If it goes viral, it just might. [See the video that started it all at http://www.youtube.com/watch?v=4oKYeWf3dPA]. On Tuesday, Provo, Utah-based Orabrush Inc. announced its flagship product – a tongue cleaner – would be carried in 3,500 of Wal-Mart Inc.’s 3,800 U.S. stores thanks to a social-media campaign launched two years ago. Orabrush initially marketed its tongue cleaners directly to consumers with a TV infomercial in mid-2008, according to founder Bob Wagstaff, who invented the product. But the strategy didn’t perform well. “We spent $40,000 on it and sold practically nothing,” says the 76-year-old, who next cold-called several large retailers, asking them to carry the product, to no avail. Unsure why his efforts failed, Mr. Wagstaff approached a marketing professor at Brigham Young University about his dilemma. The professor agreed to let Mr. Wagstaff solicit students for suggestions on how to get the word out. One student suggested creating a YouTube video and volunteered to take up the task. Mr. Wagstaff accepted the offer, which resulted in a comedic two-minute video that cost about $500 to make. It quickly went viral and a series of related videos also made by the same student, now Orabrush’s chief marketing officer, followed soon after. Today, the company has its own YouTube channel that boasts more than 39 million views and 160,000 subscribers, who get alerts whenever a new video is posted to it. The channel, called Cure Bad Breath, is the third most popular YouTube channel behind OldSpice (No. 1) Apple (No. 2), according to Vidstax.com, a Web-analytics firm. Orabrush also has nearly 300,000 fans on Facebook, which the company uses to promote its videos. Cure Bad Breath features 88 original shorts, all comedies, with titles like “Diary of a Dirty Tongue,” “World’s Biggest Tongue,” and “Is Your Tongue Kissable? Does Your Breath Stink?” The company’s more recent videos are slicker than the originals and cost more to produce — between $3,000 and $5,000, says Orabrush’s CEO, Jeff Davis. Most of the actors in them are college students and recent graduates, which are also the company’s biggest customers. Wal-Mart didn’t base its decision to stock the tongue cleaner on Orabrush’s YouTube popularity, says Tara Raddohl, a spokeswoman for Wal-Mart, but she notes the company’s YouTube videos likely raised its profile among consumers. Orabrush’s Mr. Davis says he credits the company’s social-media efforts for helping get the tongue cleaner into other retail stores. In some cases, he says store managers approached Orabrush on their own, citing requests for the product from customers who’d learned about it online. While Wal-Mart didn’t reach out to Orabrush this way, Mr. Davis says, the retailer “knew we had sold almost a million units online before we even talked to them.” He further adds that Orabrush, a 28-employee firm, is on track to post $10 million in annual revenue this year after generating just $2 million in 2010. Still, posting a video on YouTube far from guarantees success. Larry Chiagouris, professor of marketing at Pace University’s Lubin School of Business, says that while it may not take a lot of time or money for a small business to promote itself on a social-media outlet like YouTube, success can be tough to achieve and the odds of a video going viral are slim. It also helps to have an affordable product that offers value to the consumer, he adds. Ashok Vasudevan has what it takes to build commercially viable and socially responsible global companies. Tasty Bite, an all-natural, ready-to-eat food sold in the U.S. and Australia, is ranked one of India’s “Top-100 Best Companies to Work For. 2x Partners shares Investors Comment on Founder Pitches! Rarely do investors say how they feel about businesses presented to them for funding. (It’s a little like dating or hiring – no one explains why “no” … so actually we did. See “10 Reasons Investors Pass” in the Entrepreneur Resources section of 2xPartners.com site (www.2xPartners.com/resources). Last evening a group in California shared their thoughts. See their thoughts at www.businessinsider.com/five-vcs-explain-what-they-really-think-about-your-pitches-2011-6. Despite her atypical look and wild antics, Lady Gaga represents a business success story that just about any aspiring entrepreneur can learn from. The 25-year-old five-time Grammy winner earned $62 million last year, making her the seventh highest-paid musician in the world, estimates Forbes magazine. Her latest record, “Born This Way,” sold 1.11 million copies its first week in North America after launching on May 23, giving the pop singer the largest sales week since 2005. She boasts a range of products, including camera sunglasses for Polaroid and headphones for Dr. Dre, and she’s developed lucrative partnerships with companies like Amazon and Zynga. 1. It doesn’t take a silver spoon to succeed at a young age. 2. You don’t have to spend money to promote yourself online. Lady Gaga has amassed an army of fans on Facebook and Twitter, even more than President Obama – all without paying a dime. They also didn’t arrive overnight. The “Fame Monster” initially posted videos to YouTube, becoming the first artist to score more than one billion views on the video-sharing site. While the average entrepreneur may not generate as much buzz with an online song and dance routine, it is possible to build a following with a creative video and without spending much. Orabrush Inc., a two-year-old Provo, Utah, company did this after a pricey infomercial failed to generate significant sales. The start-up began producing weekly videos about a life-size human tongue to market its tongue-cleaning product, and has since generated more than $1 million in online sales, says Jeff Davis, chief executive officer. What’s more, retailers like a Wal-Mart in Utah and London Drugs Ltd., a Canadian drugstore chain, have started carrying Orabrush. “Consumers started going into retail outlets asking for our product,” Davis says. 3. Supporting a popular cause can make you popular, too. Lady Gaga has forged deep ties with the gay community by openly protesting the government’s “Don’t Ask, Don’t Tell” policy banning gays from the U.S. military. For example, last year she began campaigning with the Servicemembers Legal Defense Network to repeal the law with a YouTube video plea and postings on her website. Though it’s unclear how such acts of advocacy might drive sales, experts in cause marketing say even if consumers aren’t big fans of your product or service, they may be inclined to buy from your business if it’s aligned with a cause that’s meaningful to them. In fact, 80% of 1,057 U.S. adults surveyed last July said they’d favor a brand that’s associated with a good cause over another that’s similar in price and quality, according to Cone LLC, a strategy and communications agency in Boston. Link to article online: http://blogs.wsj.com/in-charge/2011/06/02/what-aspiring-entrepreneurs-can-learn-from-lady-gaga. While attending the FARM TO FORK event a few weeks ago, our Andy Whitman met the blueberry farmers behind a great “blueberry bush rental” program. Great idea. He signed up and this week a “certificate” arrived in the mail. GREAT idea. I. What are angel investors? II. How do you find them? III. What do they want? – One possible answer: Anyone who will give your venture some money! – The term “angel investor” was first used to describe wealthy individuals who helped to fund Broadway productions. – In 1978, William Wetzel of the Center for Venture Research of the University of New Hampshire started using the term the way we think of it today. – Because each angel investor is different – and because angel investing in general has changed over the years as we will learn in a moment – what I am saying about angel investing are generalizations. – Originally, angel investors were high net worth individuals who made investments with their own personal funds in early stage ventures – typically as a second stage investment after founder or friends and family rounds. – Often they were entrepreneurs who “cashed out” and wanted to invest in new enterprises. – In the late 1980s, angel groups or angel networks began to form where groups of high net worth individuals pooled their money to make investments. They have investment criteria, review committees and often professional staff. There are now at least 300 such angel groups in the U.S. – and probably more. – One of the larger groups in this region is “Common Angels” in Boston, which was formed in 1998, and which generally has an IT investment focus. – These angel groups and networks have moved angel investing along the spectrum to look more like traditional venture capital financing. – But there are still plenty of traditional individual angel investors out there and actively investing. One estimate puts the number of active angel investors in the U.S. in 2007 at over 250,000. – Just like “real” angels, you often can’t see them. – It is easier to find “angel groups” these days using search sites such as Google, Yahoo or Bing or by using resources such as the Angelsoft network. Angelsoft network, which you can find at angelsoft.net, was formed in 2004 and provides web-based deal flow management software to angel investors and provides a forum to introduce entrepreneurs to potential sources of angel funding. – Identifying the traditional type of individual angel investor is a bit trickier. – One way to find them is by attending events such as this and by networking. I have a feeling there may be an angel investor or two in this room right now. But be kind – lest they disappear! – Remember, they may be angels, but they are also investors. Like any investor, they want a return. – As early stage risk investors, they’d like a big return – something on the order of 10x, 20x or even more over a 5 year horizon. And like other investors, they certainly don’t always get it! – They want you to succeed! Many angel investors, in addition to giving you money, want to be your mentor. They like to share the benefit of their experience and their contacts. – Many develop a strong personal interest in and connection with your company – and you. – They often have knowledge and interest in your industry and can be good sounding boards. I started with a Biblical reference, so I’ll close with one from pop culture. If you are a fan of It’s a Wonderful Life, now you know that every time you hear a bell ring, not only has an angel gotten his or her wings, but has made an investment in a company like yours! Recently, Gary Sebek, Charlie Friend and Andy Whitman spent time at the “Superbowl” of trade shows for the housewares and natural products spaces. See the video recap below. 2x Partners: Stonyfield Institute Sold Out … But Watch It Live At Inc.com! Unfortunately the Stonyfield Institute (Mar 24/25) is sold out – sorry for the last minute folks that wanted to attend – but great news. The event is being carried live online – check it out at http://www.inc.com/events/stonyfield. Includes NISSAN for the Leaf, home cleaning products company METHOD, design gurus OXO and multi-national manufacturers UNILEVER and P&G. See http://www.fastcompany.com/1738666/the-10-most-innovative-companies-in-consumer-products. 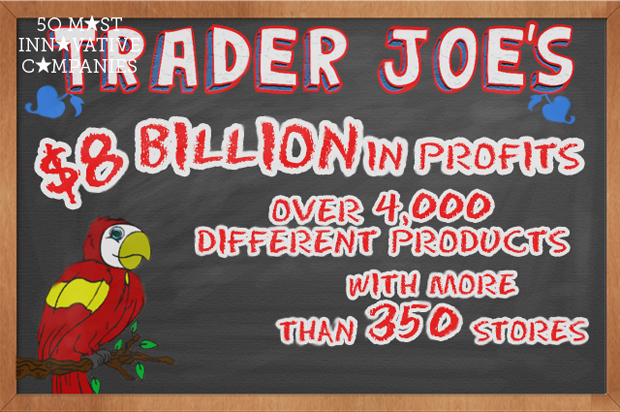 Includes fave retailer TRADER JOE’S, local food connector FOODHUB, restaurant chains including CHIPOTLE and multi-national manufacturer PEPSICO. See www.fastcompany.com/1738541/the-10-most-innovative-companies-in-food. 2x Partners: Financing Farm to Fark Workshop … Awesome! What a great event. Kudos to Jim Slama, founder of FamilyFarmed.org. Our Charlie Friend and Andy Whitman attended with Andy and Kathy Nyquist (New Venture Advisors) leading the afternoon skill-building work session. Our Andy Whitman had the privilege of hosting a panel with Gary Hirshberg (Stonyfield Farm), Irv Cernauskas (Irv & Shelly’s Fresh Picks) and Michael Bashaw (Whole Foods). Plus he co-hosted the afternoon “Skill Building” session with fellow Kraft Foods alumnus turned local food guru-in-the-making Kathy Nyquist. A highlight though was meeting and listening to Will Allen, former American Basketball Association star, former sales executive and currently Founder & CEO of Growing Power (a farm and community food center in Milwaukee, WI). Will is widely considered the leading authority in the rapidly expanding world of urban agriculture. 2x Partners: Coming to Stonyfield Entrepreneurship Institute in NH on March 24/25? Hope we’ll see you at this “boot camp” for community-minded entrepreneurs. Our Andy Whitman has had the pleasure of helping to host with Gary Hirshberg (Stonyfield Farm) and Michael Swack (Univ. of NH) for several years now. GREAT event. Worth coming just to meet Gary and hear the “tales from the trenches” … some stories feel more like a stand-up comedy routine … if they weren’t true about all the things that can & do happen to entrepreneurs. Must attend!! Learn more at: www.carseyinstitute.unh.edu/SEI.html. Recently, Gary Sebek and Andy Whitman spent time in India including visiting different types of establishments in the rapidly changing retail landscape in India. See the video recap below. Great video from the Orabrush team regarding the recent financing. Today, Gary Sebek and Andy Whitman visited the Tasty Bite Facility in Pune, India. Seth gave a great Day Two keynote. Keeping it Honest. Talking about the company history, challenges / opportunities, partnering with Coke, etc. Things are going great on the Coke partnership. Kudos to Seth. Port­land Oregon-based gDi­a­pers received Green America’s People’s Choice Award for Green Busi­ness of the Year. Cer­ti­fied Cra­dle to Cra­dle, gDi­a­pers are plastic-free, ele­men­tal chlorine-free, latex free, and per­fume free. gDi­a­pers biodegrad­able gRe­fills can be home com­posted, tossed, or flushed. They are the only cer­ti­fied 100% biodegrad­able dia­per and break down in about 3 months, unlike dis­pos­ables, which can take up to 500 years. The People’s Choice Award win­ners are cho­sen by indi­vid­ual Green Amer­ica mem­bers across the coun­try, who nom­i­nat­ing and vote for their favorite green busi­ness. The award was pre­sented at the San Fran­cisco Green Festival. October 1, 2010 (Stamford, CT) – Preferred Brands International (PBI), the manufacturers of Tasty Bite®, the leading brand of all natural, shelf stable Indian and Asian food, today announced a substantial investment by 2x Consumer Products Growth Partners. Existing investor, Rustic Canyon/Fontis Partners (RC/Fontis), also participated in this round of financing. Gary R. Sebek and Andrew S. Whitman, Managing Partners of 2x Consumer Products Growth Partners, will work closely with CEO Ashok Vasudevan and the Tasty Bite management team. In a rapidly growing market for ethnic foods, Tasty Bite is leading the way with consistent annual growth in excess of 35%. According to Vasudevan, “Tasty Bite is helping Americans ‘Spice It Up’ with our complete line of all-natural Indian and Pan-Asian entrées, simmer sauces, rice and meal inspiration offerings.” Tasty Bite products can be found at many grocery, natural food and club stores in the United States, Canada and Australia. Tasty Bite is the leading shelf-stable brand of Indian food in the United States and Australia. The brand is owned by Preferred Brands International, which was founded in 1995 and headquartered in Stamford, CT.
Tasty Bite brings flavors from the world straight to consumers’ kitchens with its all-natural entrée, simmer sauce, rice and meal inspiration offerings. Using the freshest ingredients, many of which are grown on the company’s farm in India, Tasty Bite products offer a range of cuisine at good value. With products ready to eat in just 90 seconds, Tasty Bite offers the perfect meal-time solution for those looking for a well-spiced, flavorful ethnic-inspired meal experience. Tasty Bite was named one of India’s “Best Companies to Work For” in 2009, Learn about all the delicious foods available at www.tastybite.com. 2x Consumer Products Growth Partners joins with founders and management in emerging branded consumer products businesses capable of growing exponentially via an infusion of capital and industry expertise. The firm’s principals and industry venture partners have 350 years of combined experience, contacts and connections. Focus areas include food, beverage, personal care, home care and pet care – particularly in the organic/natural, specialty/gourmet and ethnic sectors. The firm or its principals have invested in such companies as gDiapers eco-friendly diapers, Orabrush bad breath eliminator, Eagle snacks and Wellness & Old Mother Hubbard all-natural foods for pets. Additional information is available at www.2xPartners.com. Rustic Canyon/Fontis Partners, LP (RC/Fontis) is a Southern California-based private equity fund, providing expansion capital for high growth companies in both control and non-control transactions. The fund has particular expertise in US ethnic markets, and focuses on businesses in the consumer products (including food and beverage) and media industries, as well as business and consumer services. For more information, please visit www.rcfontis.com. For the second time this week, we announced an investment. Our partnership and investment in Tasty Bite is an exciting one on many fronts. Tasty Bite is a fantastic brand with excellent history of growth and continued outstanding prospects. Of course the products are stellar; but the savvy management team is, like usual, a big part of the magic on the business. We couldn’t be more excited to join them and prior investor RC/Fontis in the future of the Tasty Bite business. Please visit www.TastyBite.com and make sure to try it today! On a nice crisp early winter day a little less than a year ago, we met with Jeffrey and Neal Harmon, two young executives with Orabrush, Inc. It was the beginning of an exciting year … learning about this fantastic business, introducing them to two Angel investors and an industry executive from P&G who subsequently joined the Company as CEO … and culminating this month with an investment from 2x Consumer Products Growth Partners in Orabrush. See the news section for the press release. Twenty-four million YouTube views later and Orabrush is building the brand and consumer following in a whole new way. Former P&G executive Jeff D. Davis joins as CEO; 2x Consumer Products Growth Partners leads investment. September 28, 2010 (Provo, UT) – Orabrush, the tongue cleaner that helps cure bad breath, today announced the hiring of a new CEO and a growth capital investment. Both initiatives, designed to fuel growth, are the outcome of a relationship built over the past year between Orabrush executives Jeffrey and Neal Harmon and Andrew S. Whitman, Managing Partner of 2x Consumer Products Growth Partners. According to market research company Packaged Facts, Americans spend $3.1 billion each year on mints, gums and rinses to mask bad breath. However, the New York School of Dental Medicine indicates that “tongue bacteria account for 80% to 90% of all cases of bad breath.” Orabrush’s patented combination of ultra-soft, pointed bristles to clean deep into the tongue and a tongue scraper to remove bacteria really works. Chief Marketing Officer (CMO) Jeffrey Harmon developed a revolutionary direct-to-consumer social media marketing approach which has resulted in more than 24 million YouTube views and high profile press coverage, including this week in the New York Times (www.nytimes.com/2010/09/27/business/media/27adco.html). Consumers are responding both by posting their own product reviews (with another 3.5 million YouTube views) and with their purchases of Orabrush. Orabrush sales levels and the magnitude of the investment were not disclosed, but the funding will be used to expand distribution, staff and the Orabrush product line. Created by Dr. Robert Wagstaff (“Dr. Bob”) in 2000, Orabrush is a patented, FDA approved tongue cleaner designed to help cure bad breath using a combination of ultra-soft, pointed bristles that reach deep into the tongue and a unique scraper to remove bacteria. Orabrush intends to become the #1 tongue cleaner in the world as 80% to 90% of bad breath is caused by bacteria on the tongue. Orabrush has demonstrated industry-leading innovation in social media marketing to create awareness and online purchases at unprecedented levels. With over 24 million YouTube views and more than 250,000 Facebook fans, the brand has launched into 114 countries in the past year. Orabrush has the seventh most subscribed sponsor channel on YouTube and is rapidly expanding to retail to meet the needs of engaged consumers globally. Watch the videos or order your Orabrush at www.orabrush.com or connect with us on www.YouTube.com/orabrush. 2x Consumer Products Growth Partners joins with founders and management in emerging branded consumer products businesses capable of growing exponentially via an infusion of capital and industry expertise. The firm’s principals and industry venture partners have 350 years of combined experience, contacts and connections. Focus areas include food, beverage, personal care, home care and pet care – particularly in the organic/natural, specialty/gourmet and ethnic sectors. Businesses are primarily within the $1 to $15 million revenue range. The firm or its principals have invested in such companies as gDiapers eco-friendly diapers, Eagle snacks and Wellness & Old Mother Hubbard all-natural foods for pets. Additional information is available at www.2xPartners.com. gDiapers doesn’t stop thinking about kids once they’re toilet trained. The company’s daycare and flex-friendly policies place family time at the brand’s center. Seven years ago, Jason and Kim Graham-Nye were about to have their first child when they came across an intriguing factoid in the morning paper. They discovered that though only 5 percent of the population uses diapers, they are the third largest landfill contributor. The only real alternative to disposable diapers was cloth diapers, and since those are water-intensive, they were a no-go in the couple’s arid Australia home. Soon they began to see the dearth of biodegradable diapers as a business opportunity and they picked up and moved to Portland, Oregon. The Graham-Nye’s spoke to Inc. reporter Josh Spiro about the company’s daycare program, maintaining a healthy work-life balance in a family-run business and connecting with their customers via social media. Read the full article online at http://www.inc.com/articles/2010/08/gdiapers-q-and-a.html. View keynote address at FAMILY FARMED EXPO Financing Farm to Fork Conference. December 3, 2007, Portland, OR – gDiapers, the earth-friendly hybrid diaper that you can flush, compost or toss, today announced a partnership with, and significant minority investment from, 2x Consumer Products Growth Partners of Chicago. Co-founders Jason and Kimberley Graham-Nye, CEO and President respectively, will work closely with the 2x Consumer Products Growth Partners team led by Managing Partner Andrew S. Whitman in building the business. Last year alone, more than 18 billion diapers went into landfills across America, where they will not biodegrade for up to 500 years. Fifty million traditional disposable diapers are thrown out daily – approximately 35,000 diapers per minute! Environmentally friendly hybrid gDiapers consist of a stylish, breathable, washable outer ‘little g’ pant and a plastic-free ultra-absorbent refill that that will break down in 50 to 150 days. Environmentally concerned consumers and caring parents have embraced them, including opinion leaders such as actress Julia Roberts. As part of the new partnership, Whitman and Gil Pritchard, a 3-time industry CEO at Avalon Naturals, nSpired Foods and Barbara’s Bakery, have joined the gDiapers board of directors. 2x Consumer Products Growth Partners is joined in this Series B round by co-investor Golden Seeds, an angel investor group providing early stage and growth capital to women entrepreneurs across all sectors, plus current investors and manufacturing partner Principal Business Enterprises, Inc. The investment will be used to expand distribution, staff and products.